My athletic career in as few words as possible, it all began at the ripe age of 3 with my dad teaching me gymnastics in the backyard and having me trained in the martial art of Tae Kwon DO. I stuck with Tae Kwon Do until 10 years of age before switching my primary focus to gymnastics where I continued to grow as an athlete and compete until college. After a few college gymnastics practices, the summer before I began attending UIC (University of Illinois at Chicago) I decided I needed a change. Within a few weeks of school starting, I found myself being roped into becoming a collegiate cheerleader. Our competitive cheer team rocked the National Championships all 4 years in Daytona, FL. We placed 4th, 5th, 8th, and 10th, not exactly in that order. After undergrad, I stuck to competing in an open competitive cheerleading program for a couple of years and stopped completely during my last 12 months of graduate school at DePaul. Somewhere in between I did parkour, running, and biking. I've trained with weights since my early teenage years under the guidance of my parents who were professional bodybuilders in the 90s. In 2009, I found the world of obstacle racing after participating in the Men's Health Urbanathlon. Since then, I've dove deep into the world of obstacle racing, adventure racing, endurance racing, and ultramarathons. After competing in the Men's Health Urbanathlon I knew I had found something special. The obstacles in that race were not challenging, but they were fun. I wanted more. I wanted difficulty. I wanted to push myself. In 2010, I did my first Warrior Dash, with my sights set on a 2013 Spartan Death Race attempt. Next, I stepped up the distance by crushing the Wisconsin Tough Mudder at Devil's Head. I finally set foot on Spartan Race turf at the Midwest venue, where I participated in the Spartan Hurricane Heat followed the next day by competing in an open heat. After that race, I was invited to the Spartan World Championship in Texas. I had already fallen in love with the difficulty that Spartan Race presented. 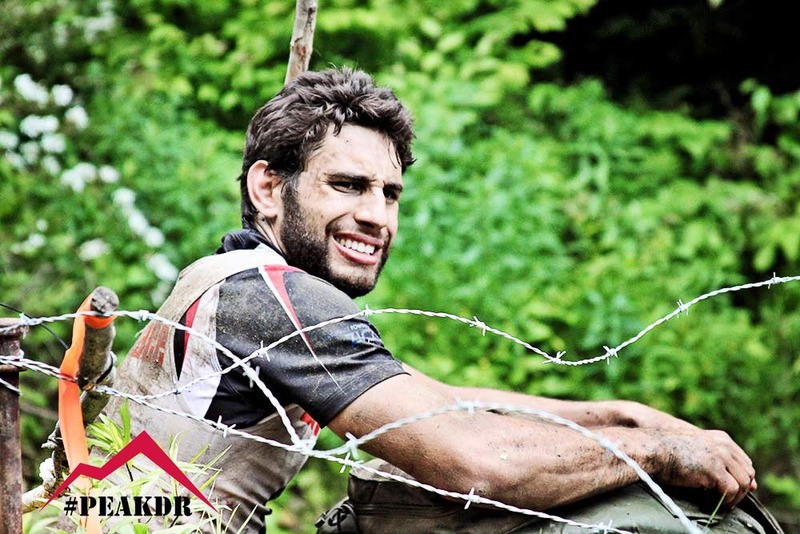 It was the most challenging of the obstacle races and that event left the most rewarding feeling at the finish. I jumped at the opportunity and my parents bought me a flight to Texas for my 26th Birthday. The Texas Spartan Race was the same weekend as my birthday, making it extra-ordinary. There, I once again participated in the Hurricane Heat which was a wild one that I'll never forget. The next day I placed 32nd place. It was at that moment that I realized I didn't want to wait around for the 2013 Spartan Death Race. I wanted to do the 2012 Death Race. After a few email exchanges back and forth with Andy Weinberg, one of the originators of the Peak Death Race, I found myself committed to training for the 2012 Spartan Death Race. I had found the most challenging, rewarding sport I have ever been a part of. I found my place in the world. This was home. Now I continue to push my self to see how far this human body of mine will let me go by seeking out various Death Races, ultramarathons, adventure races, and endurance races.